Simple but different. 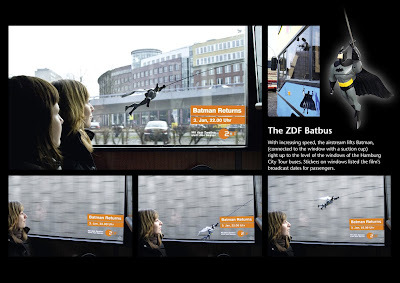 The batman figure is attached to the side of the bus and moves as the bus gains speed. Click on the image to read the explanation in more detail.